Hello everyone! I hope you are well and having a great summer so far?! It has been an amazing 7 years blogging from this my wee corner of blogland here on Blogger and I have many fond memories of sharing my life and loves with you here, but alas I have outgrown this cosy little place and it is time to embrace a new home. With lots of exciting things happening in my creative world right now I'm looking forward to sharing them with you over on my new website. Come and join me to stay up to date with my latest loves and inspirations, colour and crochet obsessions, as well as previews and snippets from my forthcoming crochet book 'Crochet Home', due for release this autumn. Super exciting! Oh summer, where art thou? Seriously where has it gone!? What with the thunderstorms, rainstorms and even hailstones we've had here lately it's seems that these beautiful blue skies have been replaced with that autumn greyness. Too soon, way too soon! I want more blue skies and dramatic sunsets not cosy blankets and winter duvets, at least not yet! 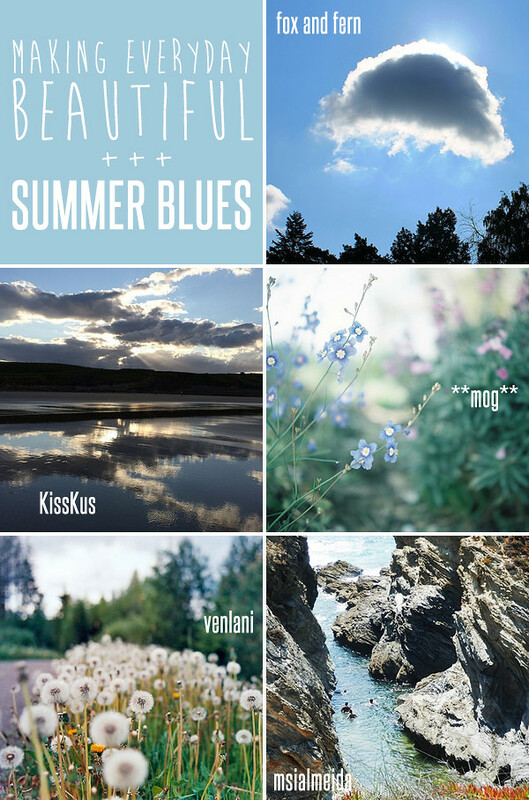 So today I am being totally self indulgent with my picks because you, my making everyday beautiful buddies, also have the summer blues but of the far more cheerful variety! Aren't these gorgeous!? Who else wants to run through a field of dandelion clocks then daydream the afternoon away cloud watching? Non-grey clouds obviously. BTW, I'm still crushing on these blue tones for everything else too - sapphire and cobalt are going to be my colours of autumn. If you can't have blue skies make your own! Right? 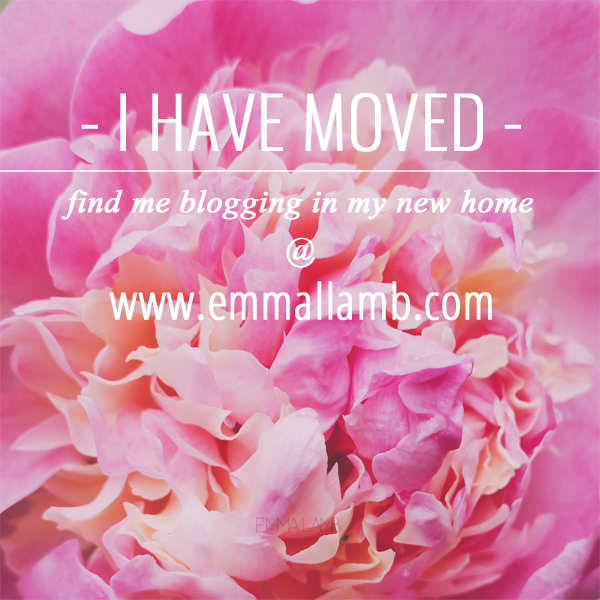 Hello my blog buddies! Yes I am still here, despite some technical glitches recently - serious grrr at Microsoft! Anyhow, never mind that (for now!) because today I have another fab little craft book to share with you all plus a wee giveaway too. Yay! 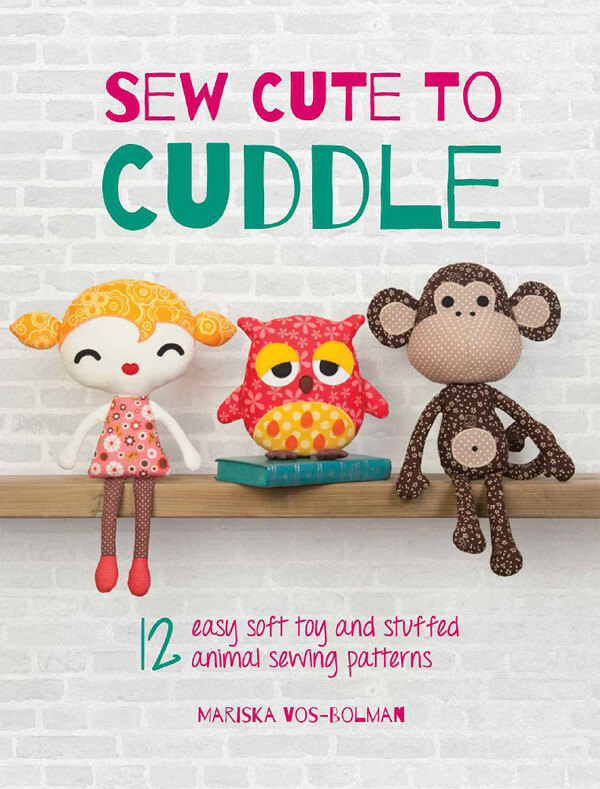 Sew Cute to Cuddle is Mariska Vos-Bolman's first craft book featuring a collection of twelve of her adorable 'Fluffels' plushie designs. 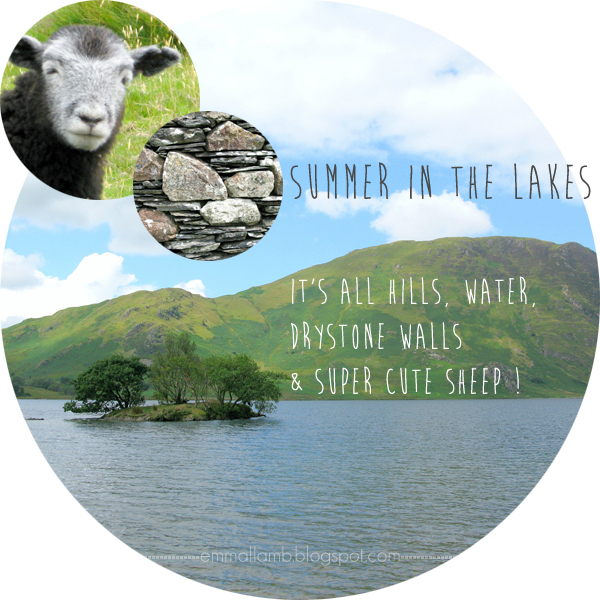 Yup, once you get into the heart of The Lake District that's about all you're going to see - and it couldn't be more perfect! Of course you have to be able to brave driving the piddly little roads you need to travel on to get there - barely wider than regular single lanes but with two way traffic, no white lines to mark your territory and only occasional 'passing places'! It's a wee bit of a shock to the system for city drivers and non-driving city passengers I can tell you!